Rabbi Shraga Simmons, educator and cofounder of the outreach sites aish.com and JewishPathways.com, poetically describes tochecha (rebuke) as “…the beauty of reality staring us squarely in the face.” Like a mysterious mirror, a rebuke reveals how we negotiate our delusions and their proximity to the ever-unfolding truth. Meant to be a gift that inspires transformation, tochecha, when received well, demonstrates that our yearning for spiritual evolution is stronger than our fear of change. A tochecha asks us to listen so that we may fully absorb what we hear and then get busy clearing away the muck. Literally, tochecha is a reproof or a rebuke, a spoken frankness that reveals a fixable flaw. The purpose of giving a tochecha is to point out an important truth that someone just seems to keep missing. It is one of halakhah’s most obviously spiritual practices, not to be dished out carelessly or in anger, but with genuine concern for another human being. My friend Yael Goldblatt, z”l, was a master of the art. She would say, “Darling,” followed by a pitch-perfect observation of some misstep or impoverished sentiment — without too much cushion or too much edge. And then she would seamlessly shift gears to another topic. No matter how deeply her observation cut, I felt seen, accepted, supported, and encouraged to become my best self. It was as if she had helped me to pull out a stubborn splinter that I, alone, couldn’t quite reach. Rabbi Moshe Leib of Sassov offers a story about two shtetl guys who get drunk one night and wake up the next morning hung over and behind bars. Shmuel says, “Oy, Dovid, this is a shanda, a humiliation! Do you still love me?” “Shmuel, of course I love you.” “Then, Dovid, you must tell me what I lack.” “Shmuel, how can I know what you lack?” “Oy, Dovid, if you don’t know what I lack, how can you love me?” This nadir moment isn’t lost on these two. Rather, they seize the opportunity of being broken open by embarrassment to face their weaknesses, leveraging love to move the stone blocking their growth. But the sages also teach: “Everyone who can protest a wrong in one’s midst and does not, is responsible for those people.” (Shabbat 54b) We are admonished to know each other well enough to recognize when our reproof will be best received, and we are also liable for wrongdoing in our midst if we don’t speak up. Fundamentally, tochecha is a mitzvah of connection — a cornerstone of healthy relationships and strong community. If we can trust our neighbors to tell us the truth lovingly, and if we can hear a reprimand with calm consideration, then our path to one of Judaism’s most sought after spiritual destinations, _shalom/_wholeness, is well paved. This unusual verse inserts a tenderness that renders these warnings a rebuke and not just a harangue. It is not the curses that keep us in line, but rather the painful and beautiful exchange that coaxes us to become more whole, blessed, and glad. This story "Leveraging Love: Absorbing what we hear and clearing away the muck" was written by Jhos Singer. 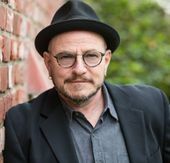 Jhos Singer is the Maggid for the Jewish Community Center of San Francisco and Chochmat HaLev, a Center for Jewish Spirituality in Berkeley, Calif. His teaching can be found in the anthologies Balancing on the Mechitza and Torah Queeries, and at elitalks.org.